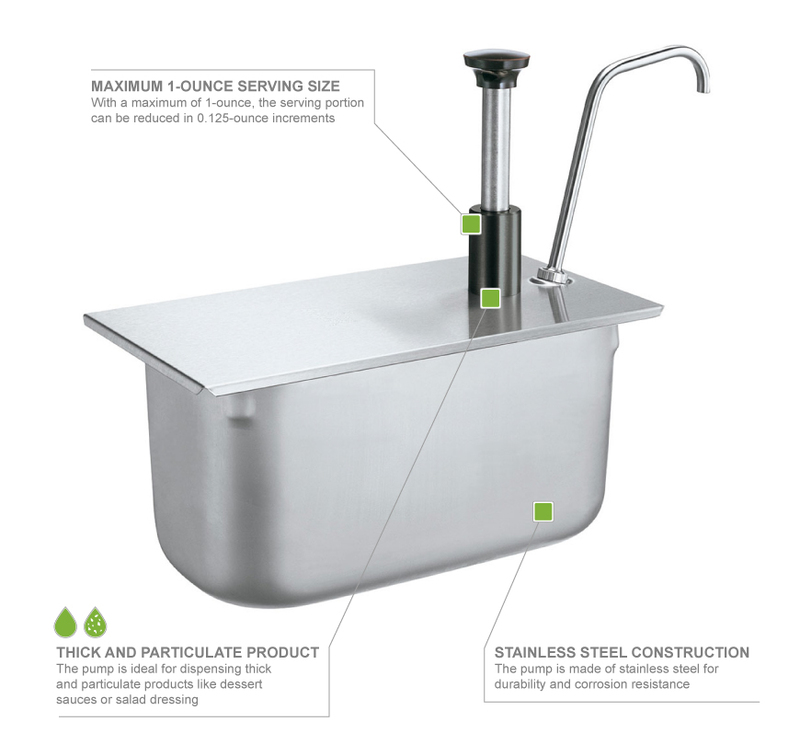 The Server 83430 steam table pump is designed to be used with a third-size steam table pan. 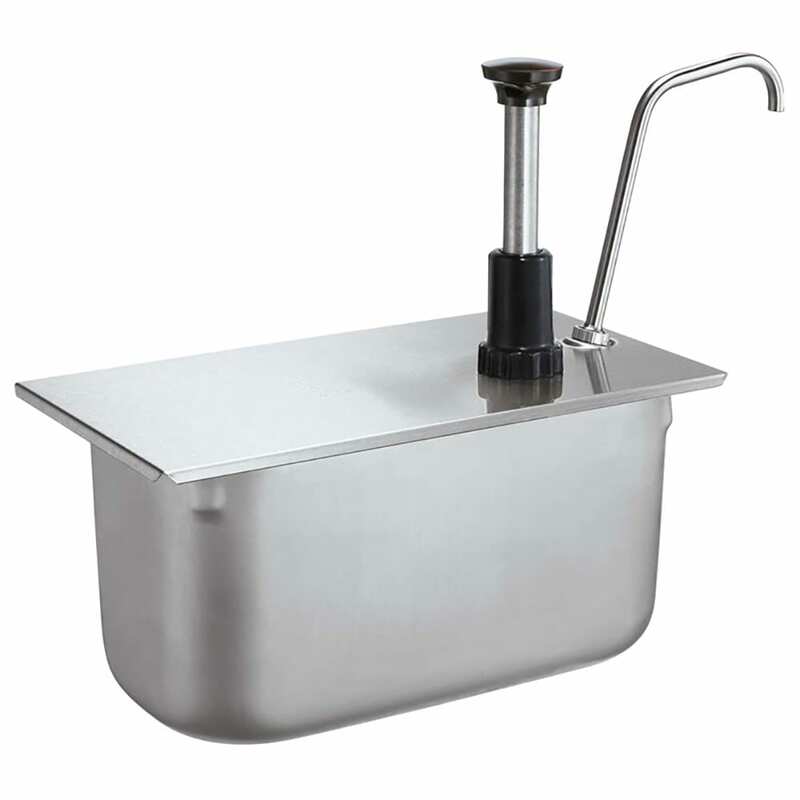 With its all-welded stainless steel construction, the pump is strong and durable for constant use. It is ideal for dispensing thick and particulate products like mustard, ketchup, and relish and functions to serve products at ambient, cold, and hot temperatures. The Server 83430 condiment syrup pump yields 1 ounce per stroke, and the amount can be adjusted in 1⁄8-ounce increments. Product yield is adjusted in 1⁄8-oz. increments with a maximum of 1 oz.